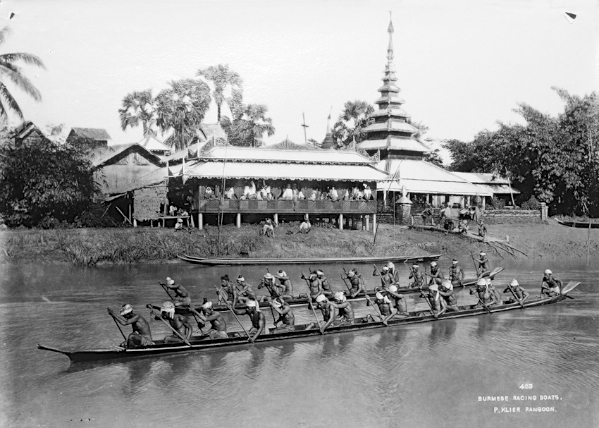 Until recently we had never heard of Philip Adolphe Klier (circa 1845-1911), a German-born photographer who worked in Burma in the late 19th and early 20th century. 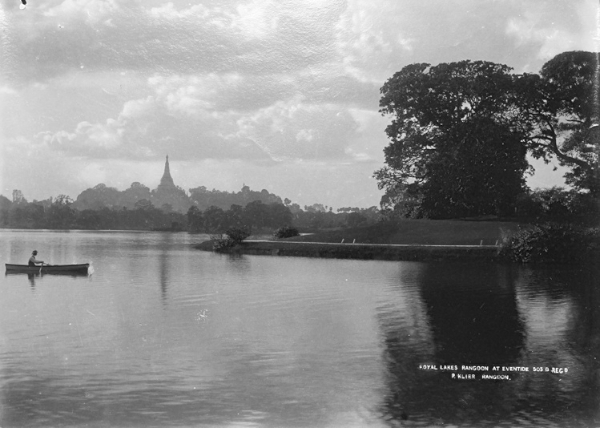 But thanks to an ongoing project by the UK National Archives to digitise its huge archive of pictures, we have been introduced to some of his wonderful work. 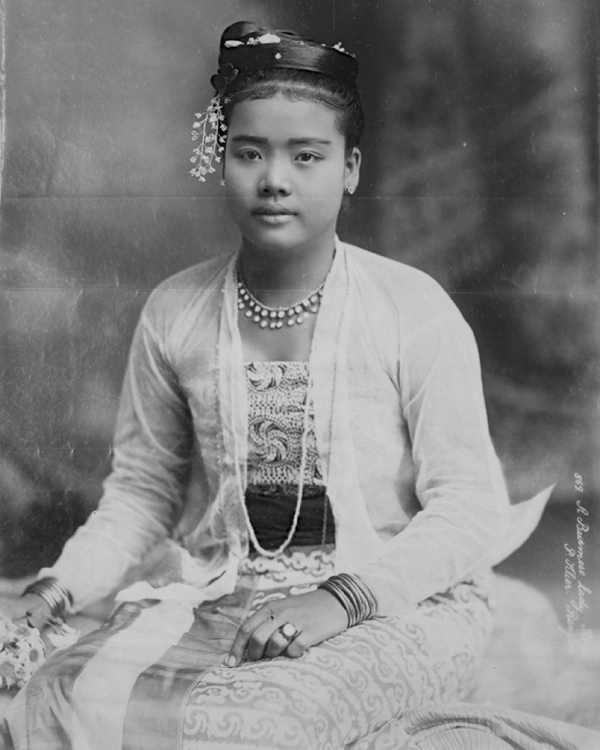 Klier began working as a professional photographer in 1871 in Moulmein (now known as Mawlamyine), the first capital of British Burma. While he built up his reputation, he supplemented his earnings with work as an optician, watchmaker and jeweller. 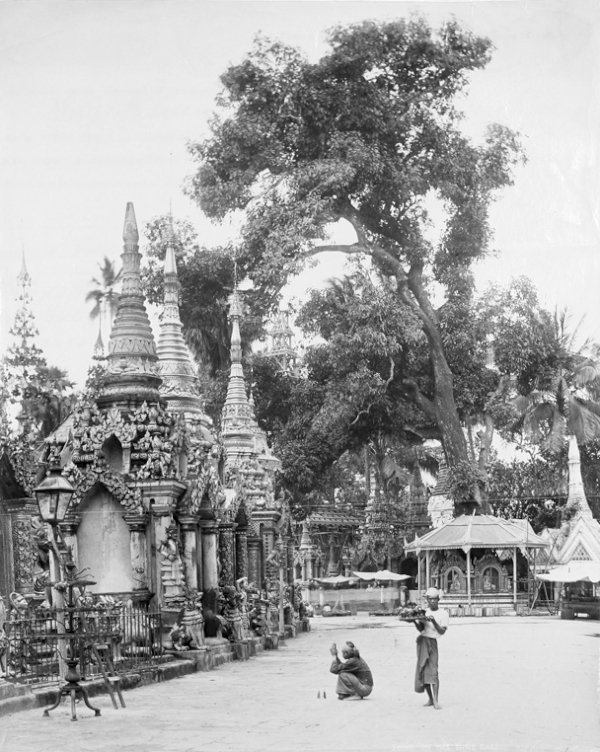 Around 1880 Klier moved to Rangoon (Yangon), by then the centre of British administrative and commercial life in Burma. 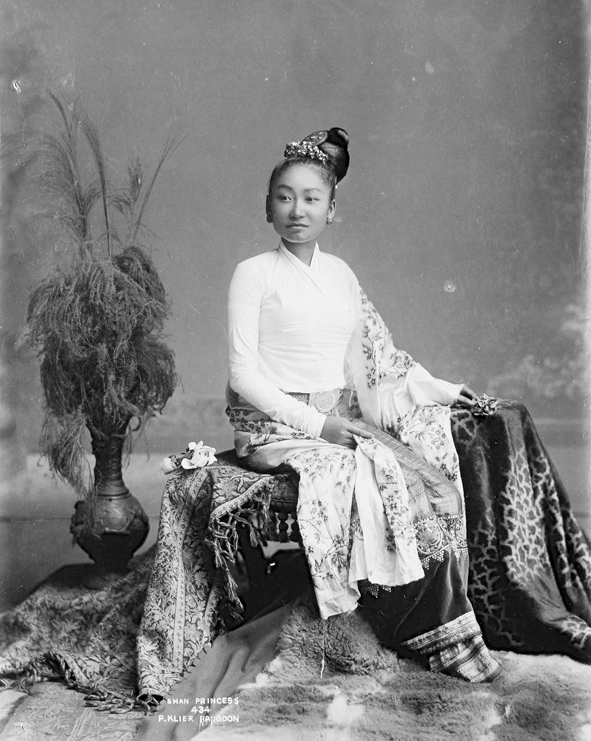 For much of his career, he worked on his own, although he did have a five year partnership with another Rangoon-based photographer, J Jackson, from 1885-1890. 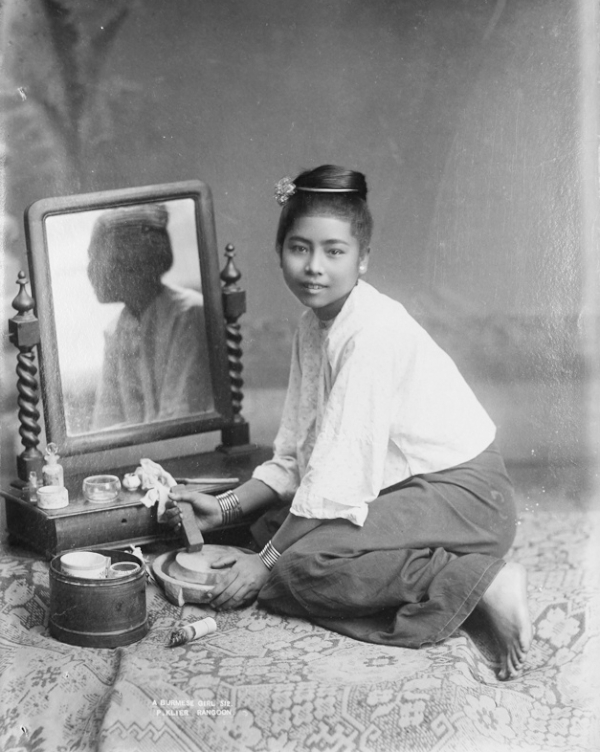 Klier took a wide range of pictures, from stylised studio portraits, to candid rural scenes, travelling widely round British Burma in the process. 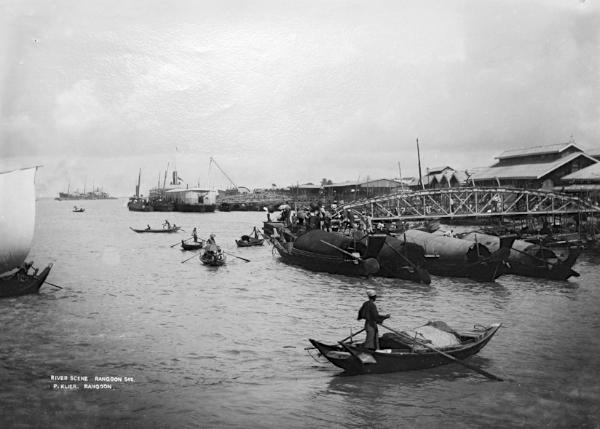 He was clearly fascinated by his adopted home; its customs, its artistic heritage, above all by its people. 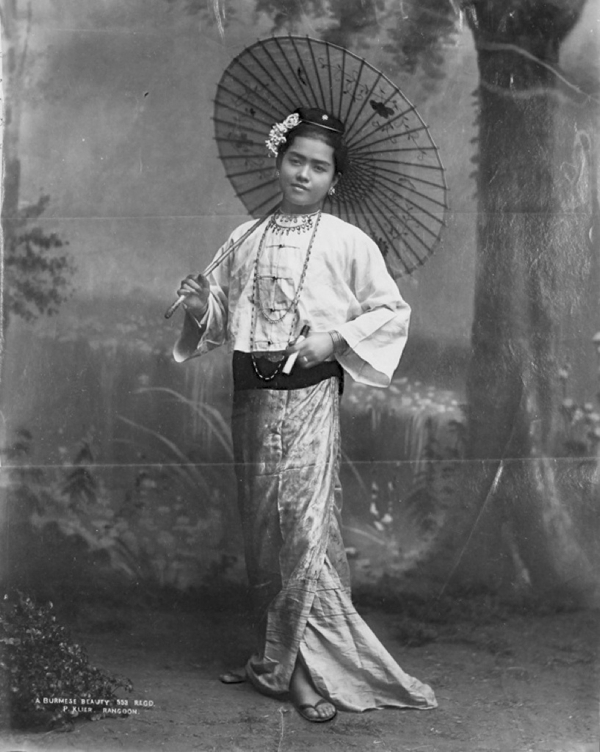 Studio portraits formed a big part of Klier’s artistic output, mostly to sell as commercial prints, but also as commissions for wealthy locals. 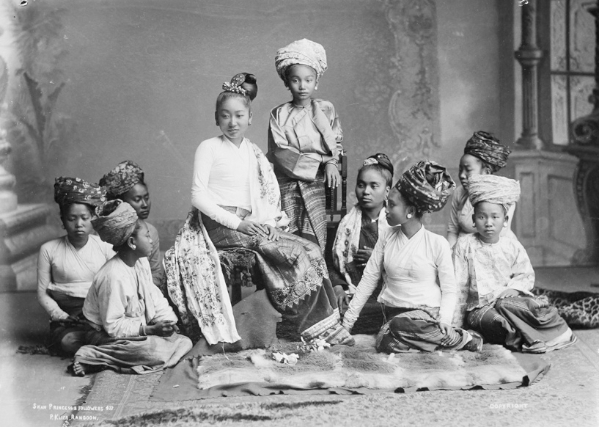 The same Shan princess features in both a solo portrait, and a group shot with her followers. You will no doubt have noticed that many of these pictures are of attractive young women. We have no real information about Klier’s personal life, but it’s fair to assume that he had an eye for pretty girls. 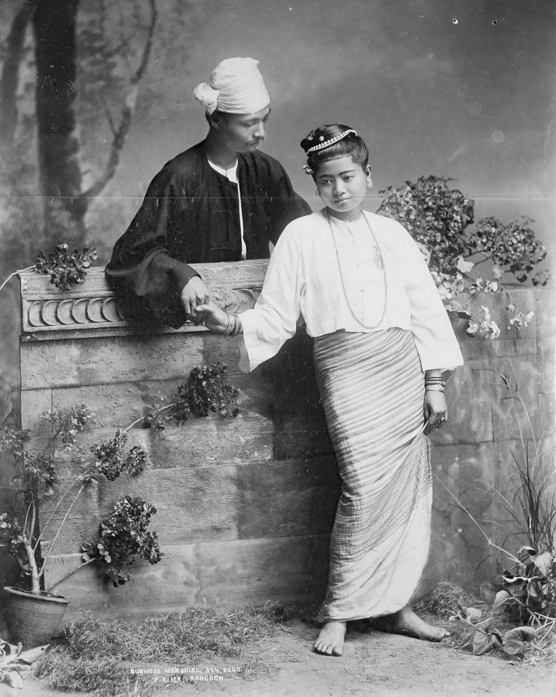 Amongst the most charming, and beautiful, of Klier’s pictures, are those of Burmese couples. Whether they were clients, or sitters playing a role, is not entirely clear. 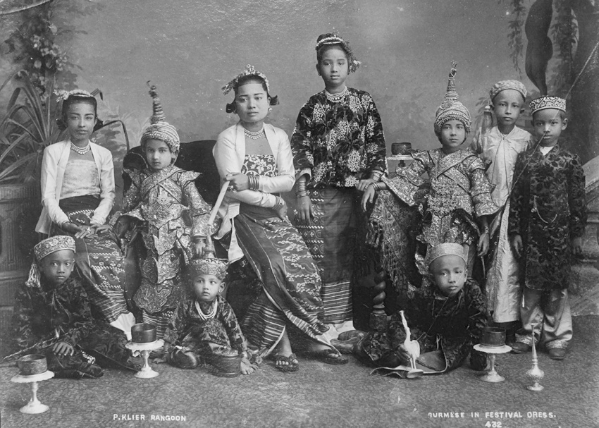 But it is worth noting the richness of many of their costumes. 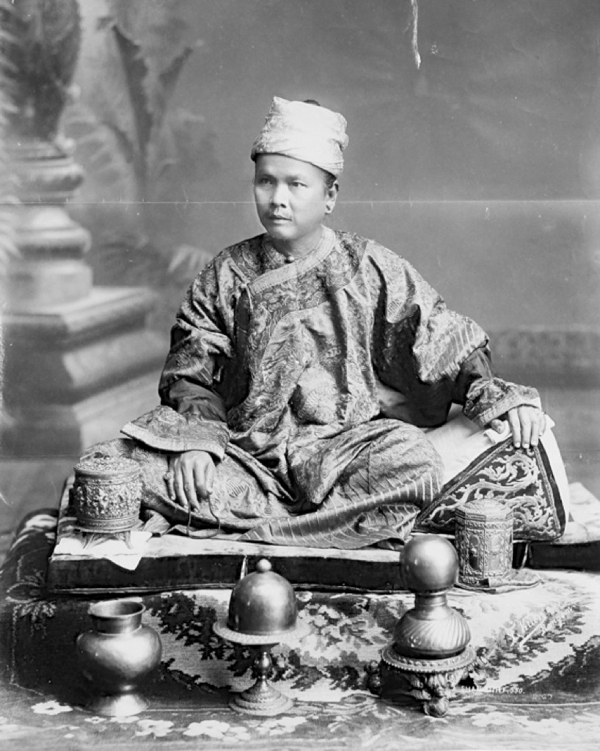 Solo male portraits were somewhat rarer, but certainly not unknown. 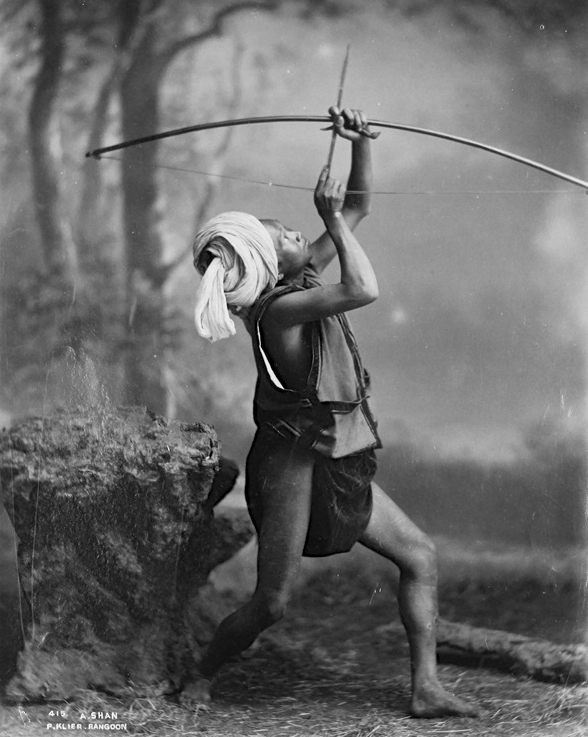 Some were commissioned by wealthy clients, such as the Shan chieftain above, while others were highly stylised pictures of the “exotic native”, like the superb shot of the Shan archer below. 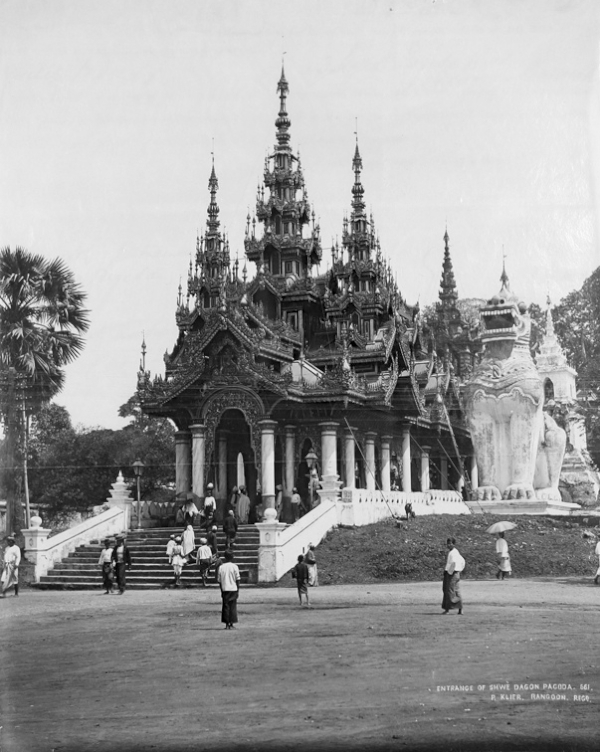 With the conquest of all of Lower Burma in the Second Anglo-Burmese War (1852), Rangoon became the most important city in British Burma. 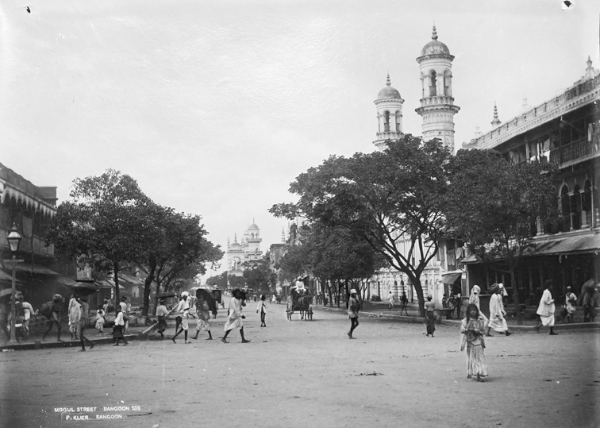 During the mid-19th century the British rebuilt the city on a geometric grid, with wide tree-lined streets, parks, and squares. 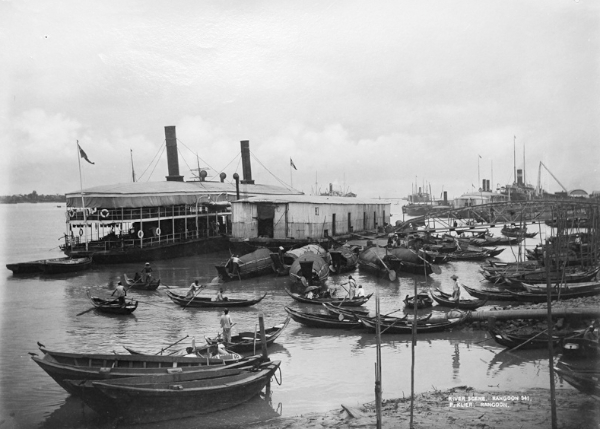 Klier captured a large range of life in colonial Rangoon, from the bustling streets, to the serene calm of the Royal Lakes at evening time. 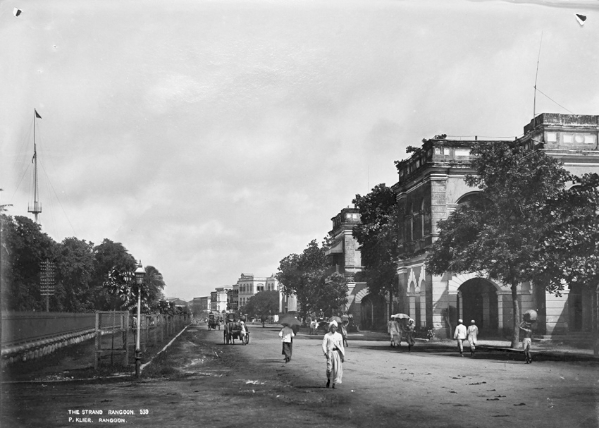 The photo below is Strand Road, at the time the most elegant road in Rangoon, and The Strand, then as now one of South East Asia’s most luxurious hotels. 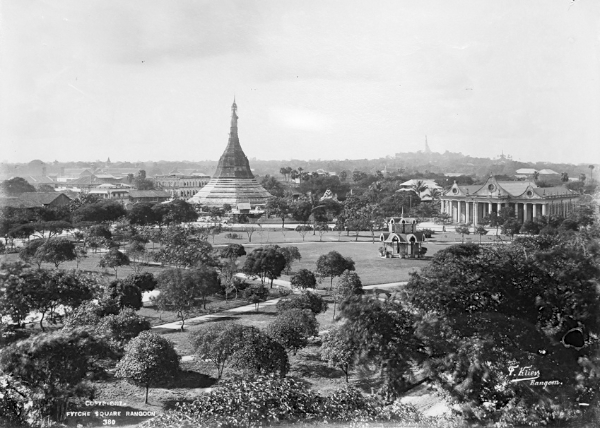 Rangoon was not just the administrative and military centre of British Burma, it was also the commercial heart of the colony. 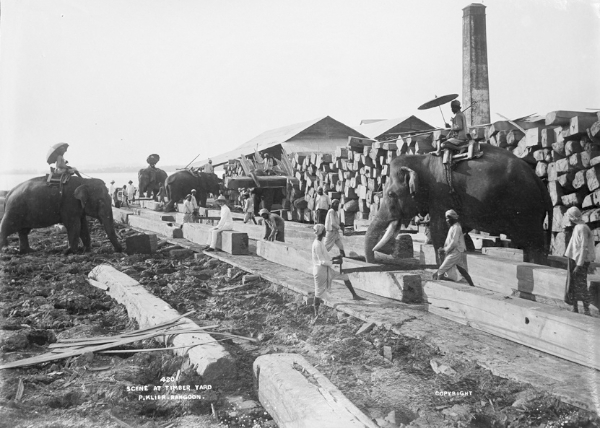 This wealth drew in economic migrants from far and wide, making it a thriving, multicultural city. 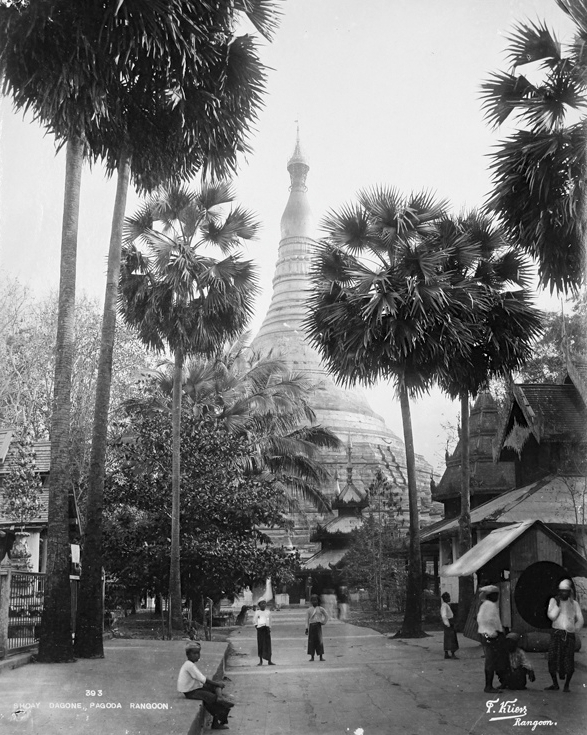 In fact, at the outbreak of the Second World War, only about a third of Rangoon’s inhabitants were ethnically Burman. 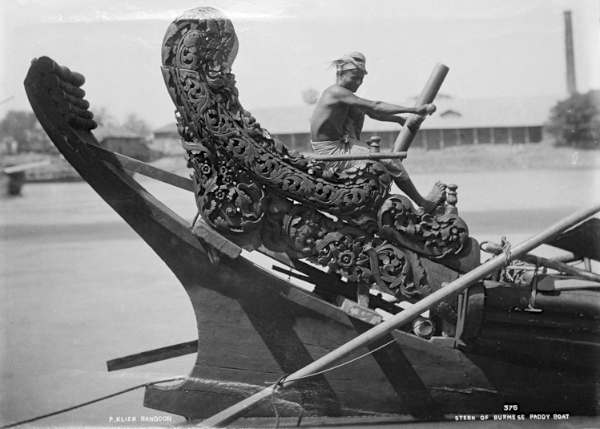 The principal commercial reason for the British conquest was teak, a valuable tropical hard wood. 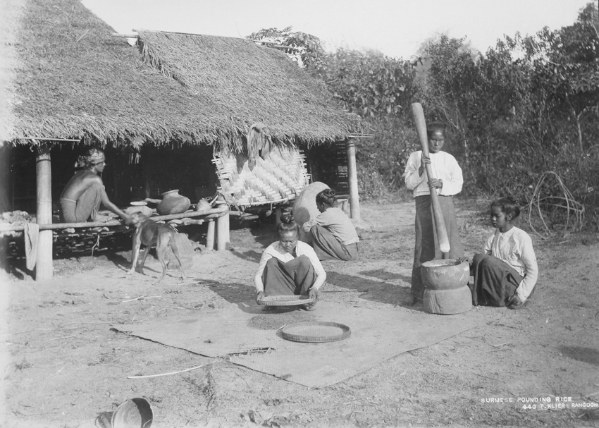 Even though other products, such as oil, gems and rice, also became important over subsequent decades, the timber trade remained at the heart of the colonial economy. 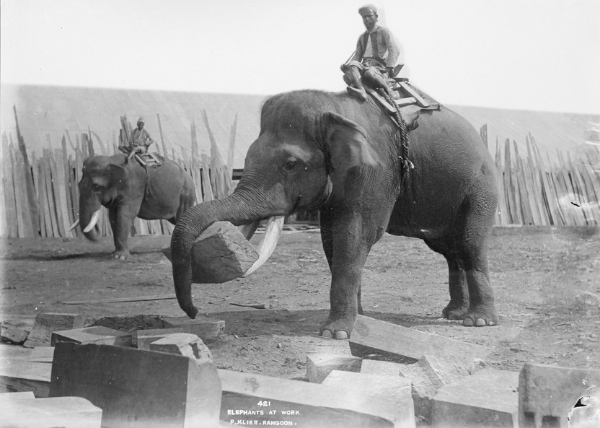 Several of Klier’s pictures capture the vital part played by elephants in this lucrative business. 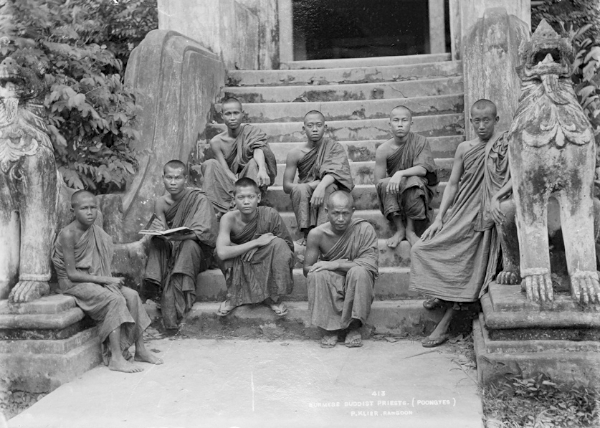 Theravada Buddhism has been the dominant religion in Burma ever since the 11th century, with its influence stretching back at least another thousand years. 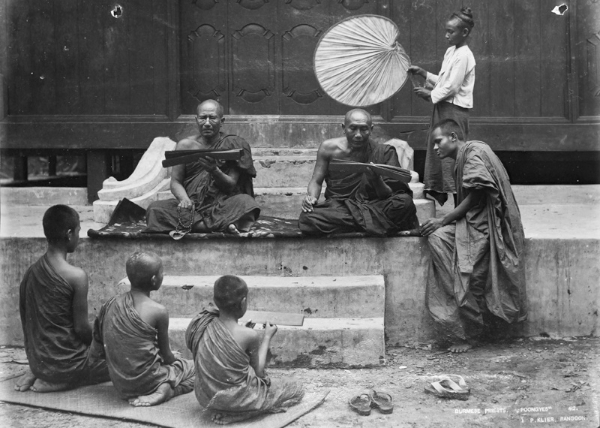 Monks play a central role, not just in terms of their own enlightenment, but also in helping lay worshippers to gain merit. 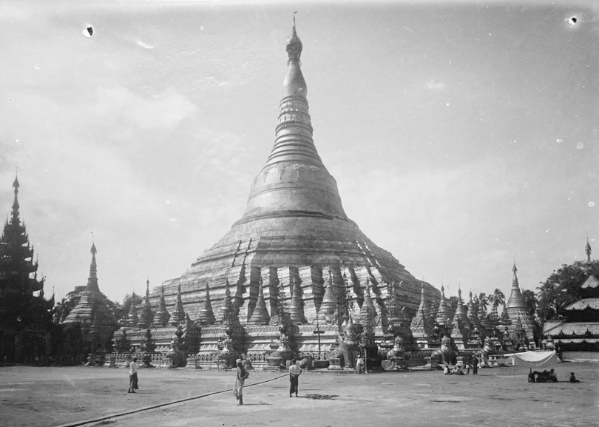 Shwedagon Pagoda is Burma’s most revered Buddhist shrine, which legend claims was founded in the 6th century BC. 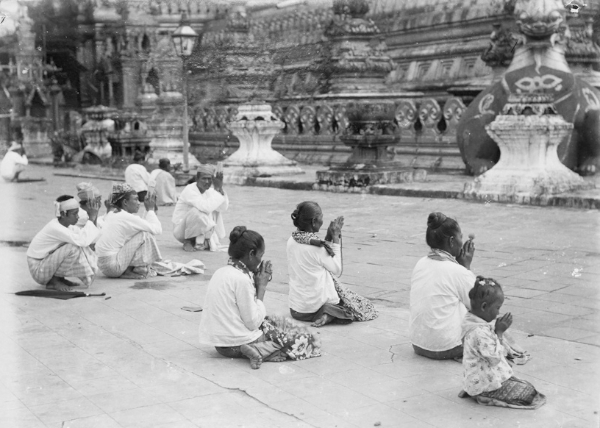 Even if as seems more likely it was founded between the 6th and 10th century AD, it is still one of the most venerable Buddhist places of worship in the world. What Klier does so well is to capture both the magnificence of the complex itself, as well as the intimacy of people’s personal acts of worship. 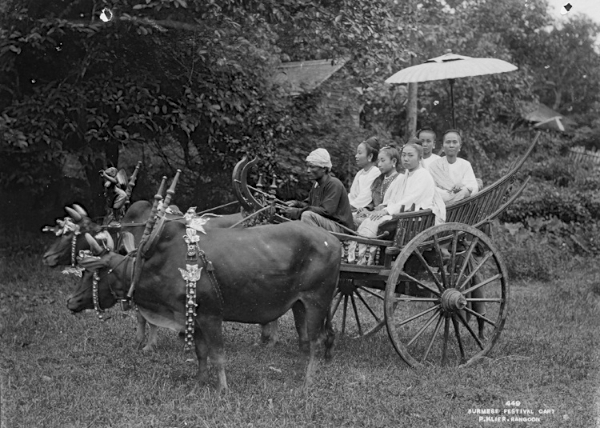 Although more than a hundred years has passed since these photos were taken, they will be instantly familiar to modern day visitors. 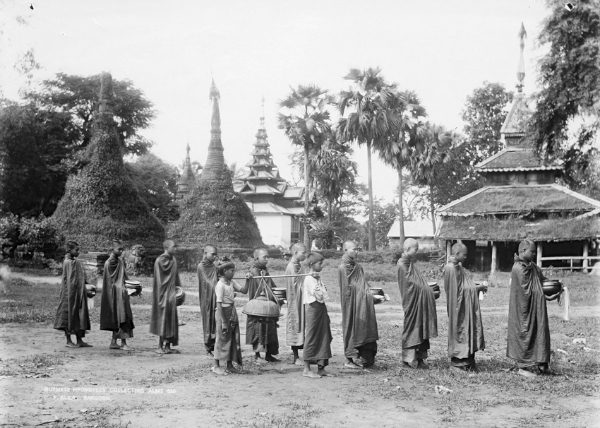 The British conquest of Burma wrought huge changes on what had been a very conservative society. 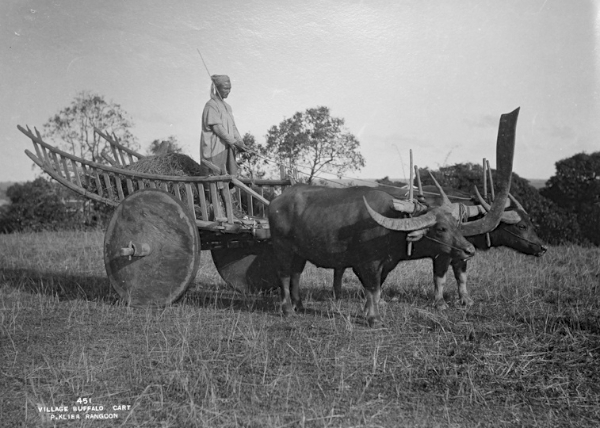 Despite this, cultural traditions did endure colonial rule, particularly in rural areas. For someone who so meticulously staged his studio portraits, Klier was remarkably adept at composing more natural pictures. 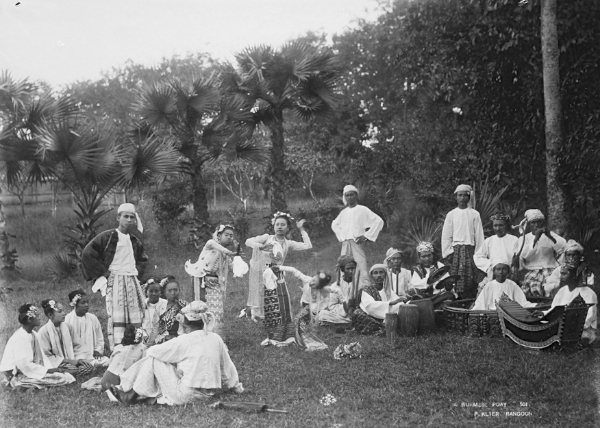 Some of the most interesting shots are of pastimes which despite surviving British rule, are having a tougher struggle holding off the onslaught of modern globalised culture. 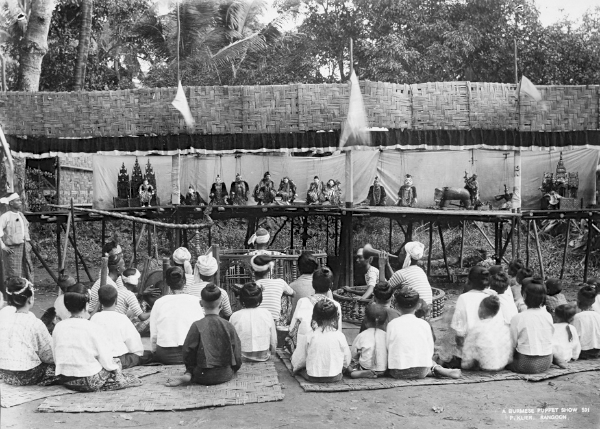 These include traditional boat races, outdoor dance performances, and puppet shows. Only a few years ago, these wonderful photos would have been seen by a tiny number of people. 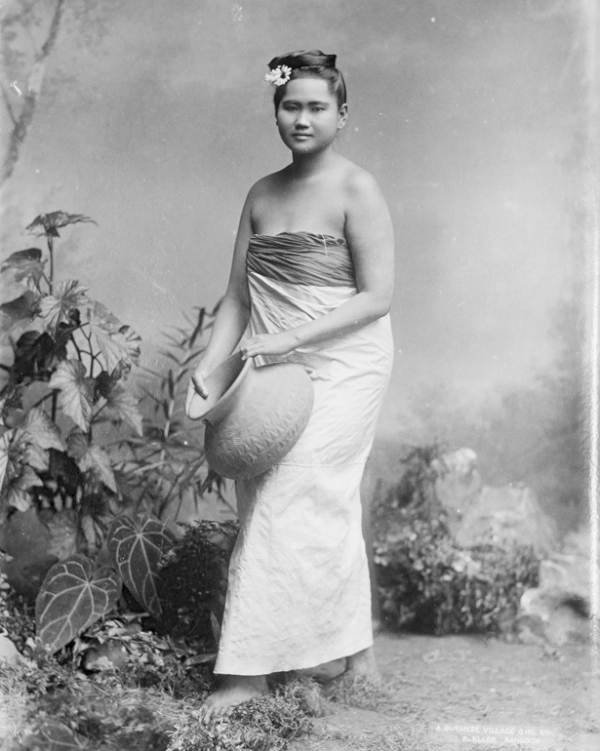 But now they – and thousands of other images like them – are being given the attention they deserve. 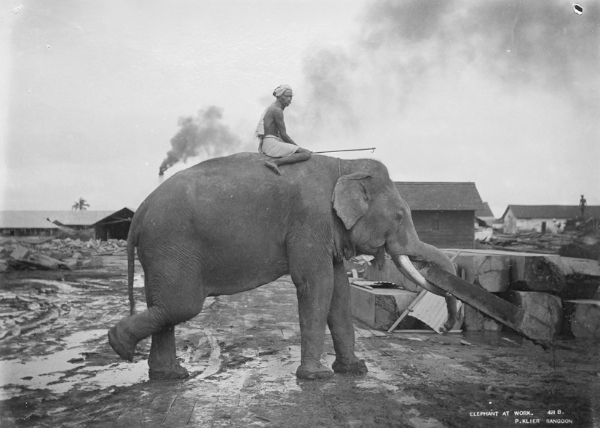 If you enjoyed this piece, you may well like Rudyard Kipling’s Burma: three days of wonder; The Great Farini, Lulu Farini and the Lost City of the Kalahari; and Introducing Malaya and Borneo (1948-1950).